Unilever's chief marketing officer, Keith Weed, will announce at the Cannes Lions Festival today that Unilever will not work with influencers who buy followers. This commitment is part of a wider push to combat fraud in the digital ecosystem, create better experiences for consumers and improve brands’ ability to measure impact. "At Unilever, we believe influencers are an important way to reach consumers and grow our brands. Their power comes from a deep, authentic and direct connection with people, but certain practices like buying followers can easily undermine these relationships," Weed said. "Today we are announcing clear commitments to support and maintain the authenticity and trust of influencer marketing." He added that this was part of his commitment in February to rebuild trust in digital ecosystems by pledging not to work with platforms that incite hate, spread division or fail to protect children. Transparency from Influencers: Unilever will not work with influencers who buy followers. Transparency from Brands: Unilever's brands will never buy followers. Transparency from Platforms: Unilever will prioritise partners who increase transparency and help eradicate bad practices throughout the whole ecosystem. Influencer fraud has been identified as a growing problem for the ad industry. In August last year, US-marketing agency Mediakix did a deliberate exercise to prove how easy it is for influencers to dupe brands into partnership deals. 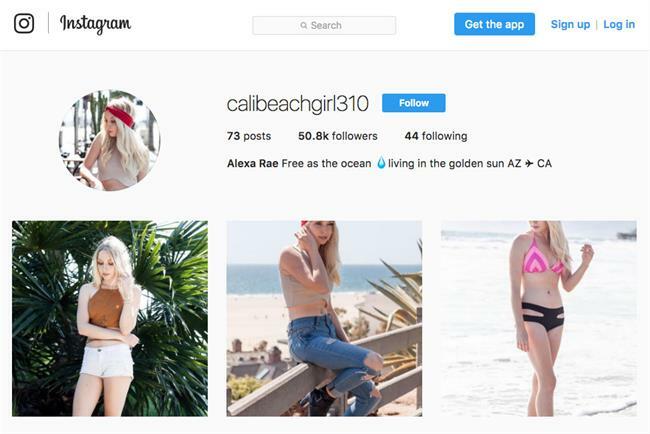 It created two Instagram influencer accounts based on non-existent people, with bought followers and engagement (likes and comments). That same month, Campaign's sister title PRWeek outed follower-selling Manchester-based agency Greedier Social Media for claiming that its clients include Adidas and the BBC. The fake influencer problem was compounded by Facebook's admission that it had sold 3,000 political ads for "inauthentic accounts and pages" that "were likely operated out of" Russia during the last US presidential election. "The key to improving the situation is three-fold: cleaning up the influencer ecosystem by removing misleading engagement; making brands and influencers more aware of the use of dishonest practices; and improving transparency from social platforms to help brands measure impact," Weed said. "We need to take urgent action now to rebuild trust before it’s gone forever." At this year’s Cannes Lions Festival of Creativity, Weed will convene a group including the World Federation of Advertisers, Instagram and PR agency leader Richard Edelman to work towards increased trust, transparency and integrity in the influencer space.